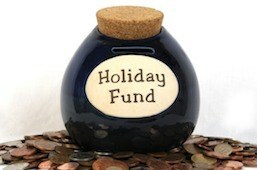 If you are like many consumers, your budget tends to feel a little tight during the holiday season. After all, you tend to spend more this time of year. From buying gifts, to paying for food if you entertain, to a higher electric bill due to the lights that might be part of your holiday decor, theres is a good chance that your spending has increased in the last couple of months. Did you pull out your credit card? Do you feel as though you can’t make all of your ends meet properly? These are common responses to this time of year, and it usually means that you spend the first three or four months of the new year paying off the debt you accrued during the holiday season. Add up what you spend this holiday season: Your first step is to figure out how much you spend this holiday season. Keep track of what you spend on gifts, food, decor, and other costs. I even like to average out my monthly power bill, and see how much above the average it is for December, when the lights on the tree are going. Once you have your total, add 10 per cent: Now that you know how much you spent this year, add 10 per cent to that total. You want to be able to account for an increase in your needs for the coming year. So, if you end up spending $600 on the holidays this year, add $60 in your plans for next year, bringing the total to $660. Divide by 10: You can divide this number any way you want. I like dividing by 10, though. This allows me to start the savings plan in February (after I’ve recovered from the holidays and figured out my financial goals for the new year) and make my last “payment” in November. With 10 months, you can create a manageable monthly “payment” to save up for the following year. In our example, the result is $66. Make monthly “payments” to a high-yield savings account: Now you can divide your holiday spending into manageable chunks. In my example, you would set aside $66 each month for 10 months. Put that money in a high-yield savings account where it can earn a little interest on top of helping you prepare for the next holiday season. If you follow this plan, by the time the next holiday season rolls around, you’ll be prepared. It’s easier to set aside $66 a month for 10 months than it is to come up with $660 very quickly. Plus, you can even use this plan in conjunction with shopping throughout the year. If you find something that you want to use as a gift or for some other reason during the holiday season, you can use some of the money you have saved up to pay for it. My husband frequently buys gifts throughout the year when he sees them on sale. Just make sure you make a note of what you’ve bought and who it’s for so that you don’t duplicate. Realize that you don’t have to give up on the idea of credit cards during the holiday season. If you want to use the holidays as a chance to rack up the rewards points, you can incorporate credit cards into this plan. Save up throughout the year as planned, and then use your best rewards credit card for all your holiday time purchases. Make sure you track your spending, though, and stick to your holiday budget. That way, when your statement comes, you can pay it off with the money you have saved up. You get the credit rewards, and you don’t end up paying interest on your purchases. As long as you are careful in the way you manage your holiday spending, and as long as you are careful to avoid overspending, you should be able to incorporate your credit card use into your overall plan without breaking the bank.